I’m very excited ( and a little nervous ) about becoming a SOLEs “granny”. I’m really looking forward to working with young people from other cultures and understanding better how SOLEs works in other areas outside of the UK. I have already had some lovely emails and a lovely Skype session with ‘granny’ Jackie and talked with other ‘grannies’ who know the score who have offered advice and helpful tips and who are keen to help support me getting started. 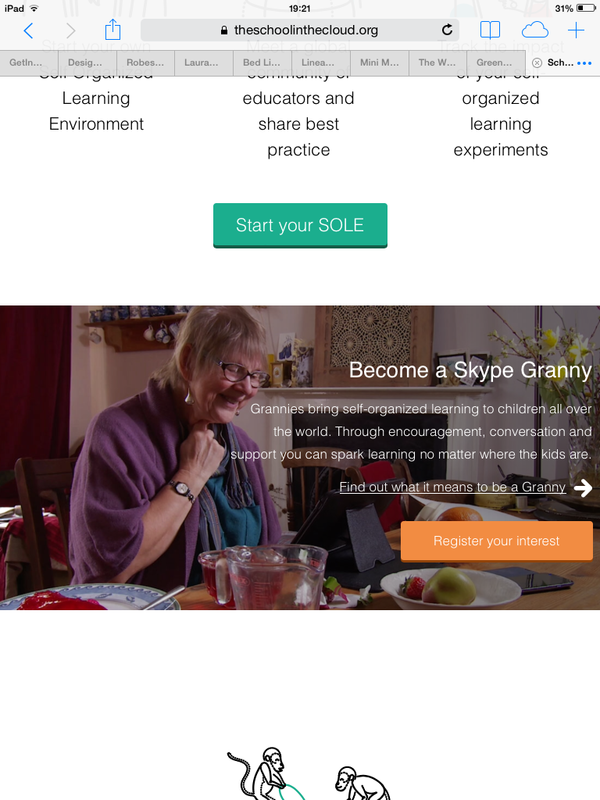 If you’re interested in becoming a SOLEs granny go to http://www.theschoolinthecloud.org and scroll down the front page until you see “how to become a granny” and register your interest there. Go on, you know you want to! 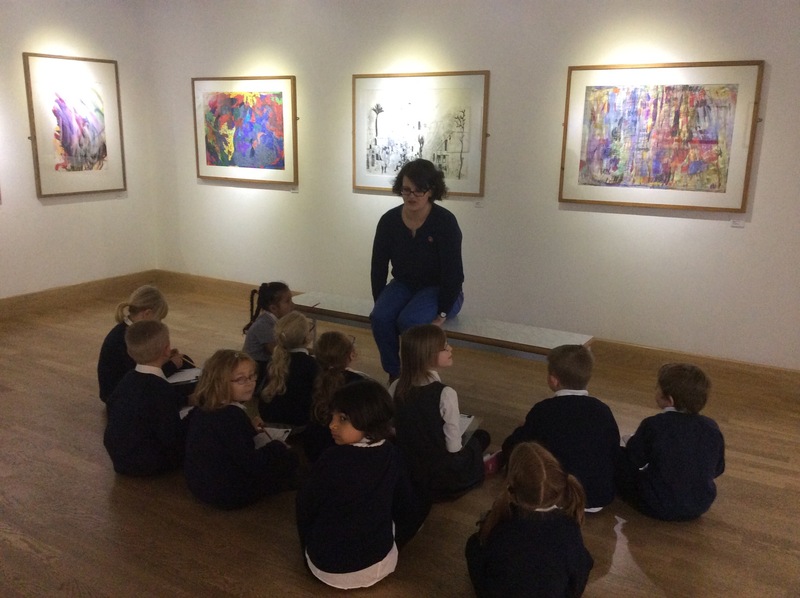 It was a delight to welcome Year 2 (5&6 yrs old) from Mandale Mill this week who are part of our International Symposium. They came to Greenfield to continue their topic ‘muck, mess and mixtures’ and develop their creative skills and independence. 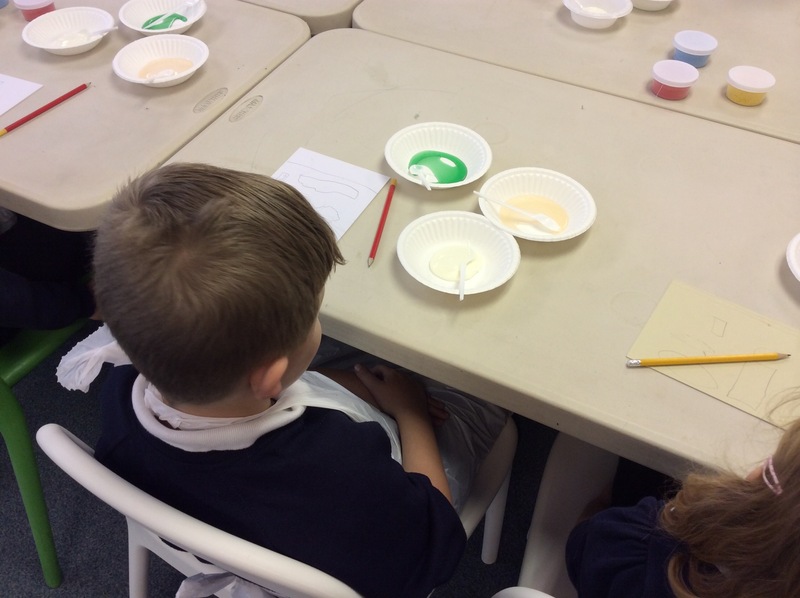 Their teacher explained that they have experimented with many ideas within this topic such as the use of shaving foam, salt and bubbles to make art work, cooking with ingredients to create pizzas and using food stuff to experiment with science. All of these tasks were designed to get them thinking about materials, to provide interesting experiences to write well about but also to develop their creativity, independence and confidence to explore their own ideas. 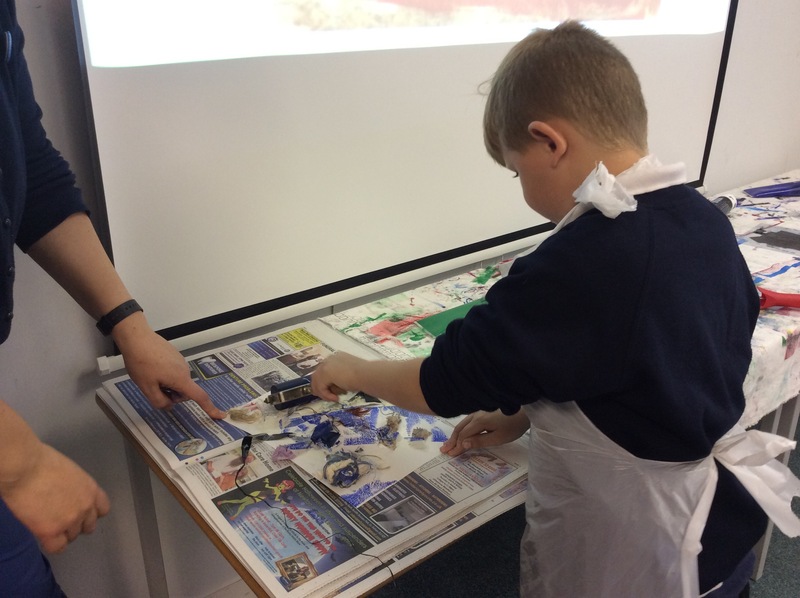 The group used the Darlington Community Arts Exhibition as a stimulus to think about colour and paint before making their very own paint! The group designed their own collograph prints too. I think this is the youngest group we have had working independently through a SOLE. It was fascinating to see how they responded. How do you carry out a SOLE if your reading may not have fully developed? Will year 2 be able to search for the information that they want? The students appeared to find it a challenge to search the internet and presented clipboards at the window saying ‘ we are stuck- we need help’. They soon decided to move around and talk to each other. We weren’t sure what kind of answers they would come up with when they had limited use of the internet. The group talked about choices and that you can change your mind about the colours you like and don’t like. They talked about some colours being too bright and some are not bright enough. A lot of the students told us what their favourite colours are and why. They talked about how colours can make you feel. The group discussed that some colours go together and some don’t. One girl explained that she liked her red pencil but not her red felt tip. What amazing responses and very mature concepts. I didn’t know what to expect and have been blown away by these year 2’s. It might be interesting to try this experiment again when they’ve had more experience of using a computer in their own time and see if it has any impact. I think the teachers were surprised by the presentations too. They noticed that the students were engaged during the SOLE session but did wonder how they would answer the question with limited internet skills and having spent what seemed like quite a long time holding up their hand made signs. The session appeared to look a little more chaotic at the end but often that is when the best learning is taking place! When I asked the young people what it felt like to have no teachers in the room they said “it was strange at first but then it was ok and fun. 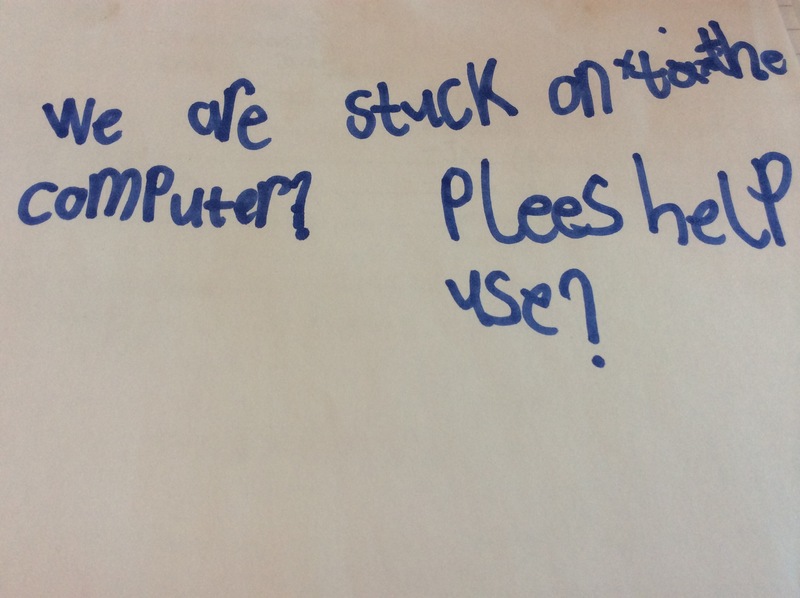 We got stuck using the computers.” I asked what they did when they got stuck. They said “we talked to each other”. Truly self organised learning! 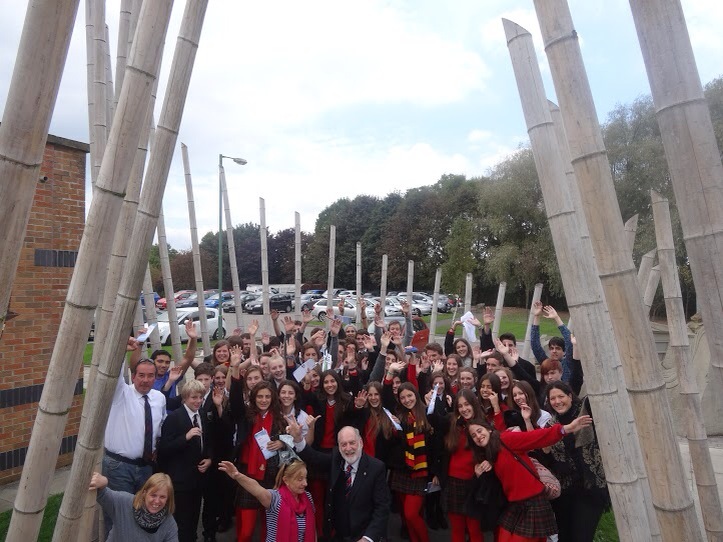 Greenfield welcomed all 30 students aged 15/16 and staff from Bede’s Grammar, Buenos Aires, Argentina for a wonderful day of creative learning this Monday. 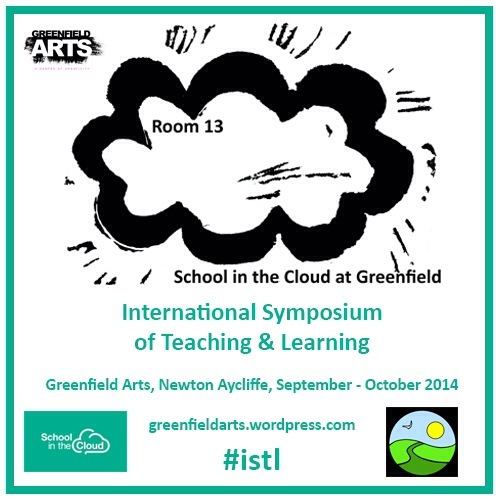 The group worked together with 19 linguists from Greenfield to explore learning, language and communication. The day was filled with interesting activities. Our arty postcard challenge went well. 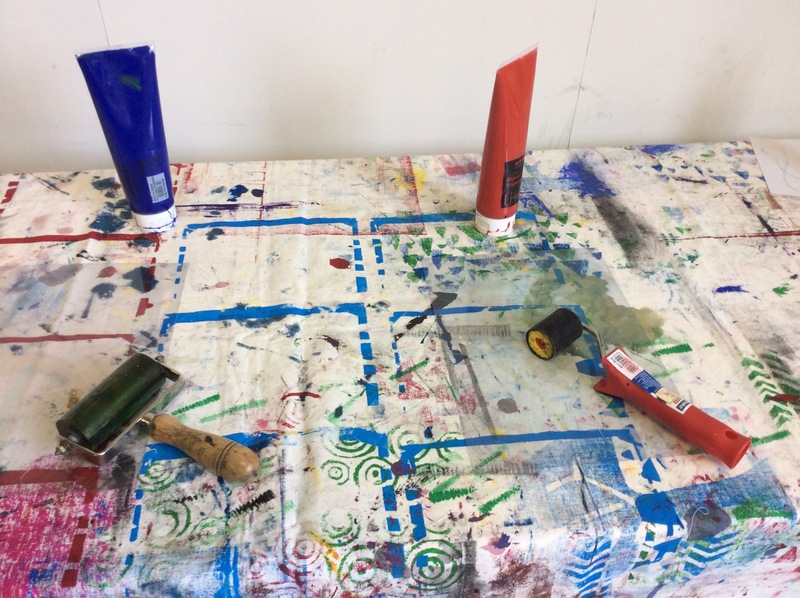 We used printing techniques to create individual and group postcards which were exchanged and shared between the group. Who decides which language we speak? No our language makes us different, special, individual. It would be easier but boring. language is part of our culture. 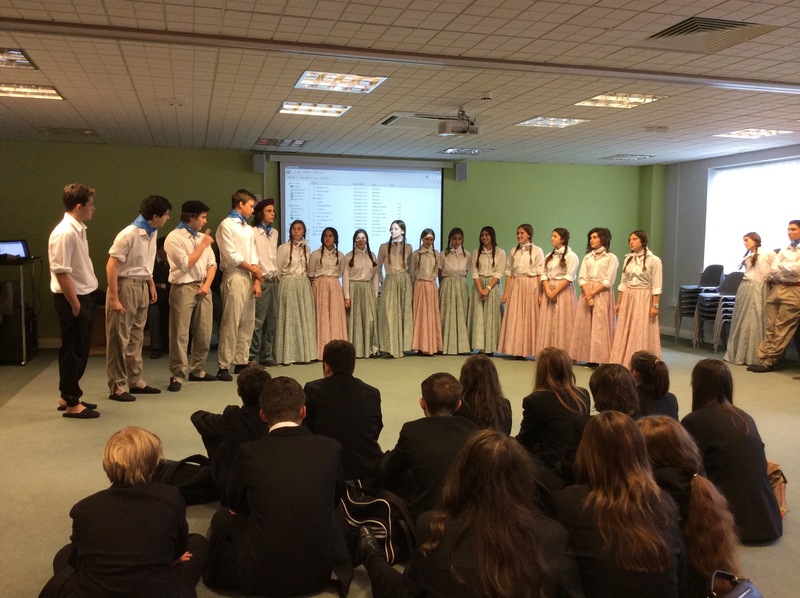 We were thrilled to hear Bede’s school song and to learn some Argentinian tango moves! We all pushed our language skills and tried to learn a new language in Mr Walton’s Swahili lesson. Wow! 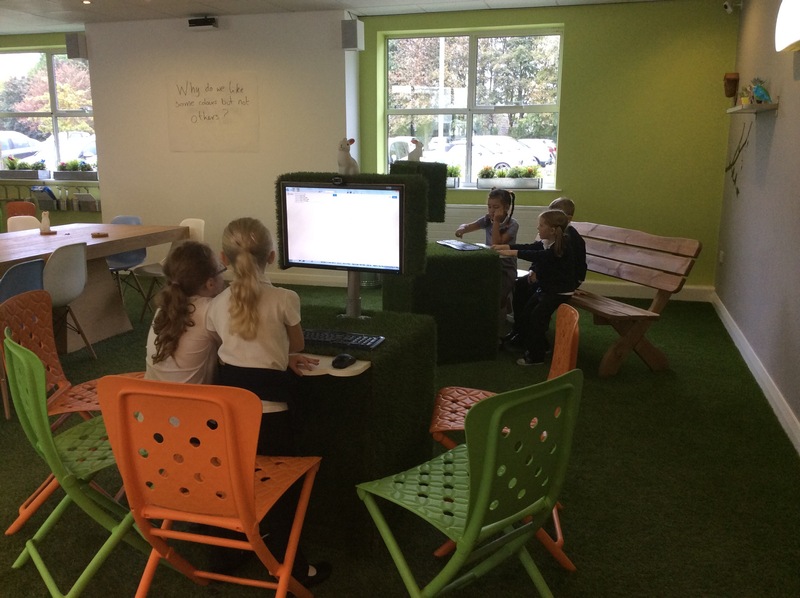 Greenfield and Bede’s worked so well together and were open minded to trying new things and working independently. They have made some great friendships. We even had a few tears when they left. We hope to continue this new friendship and have already planned to do some more SOLE sessions together and some skyping! Thank you to everyone involved. An absolutely brilliant day! Incase you missed it…. Check out Sugata’s great interview with BBC Radio4 as part of the series ‘The Educators’. 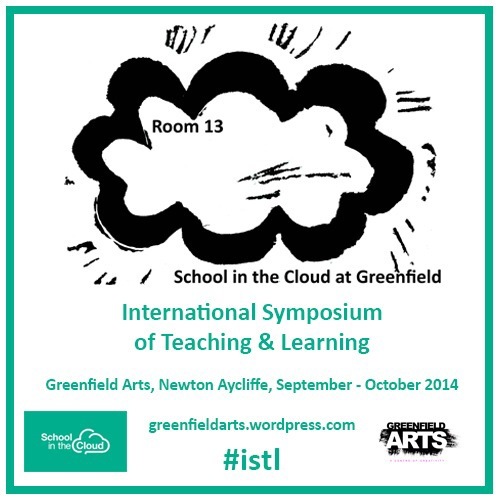 The programme features our lab- area6- ‘Room 13’ School in the Cloud. 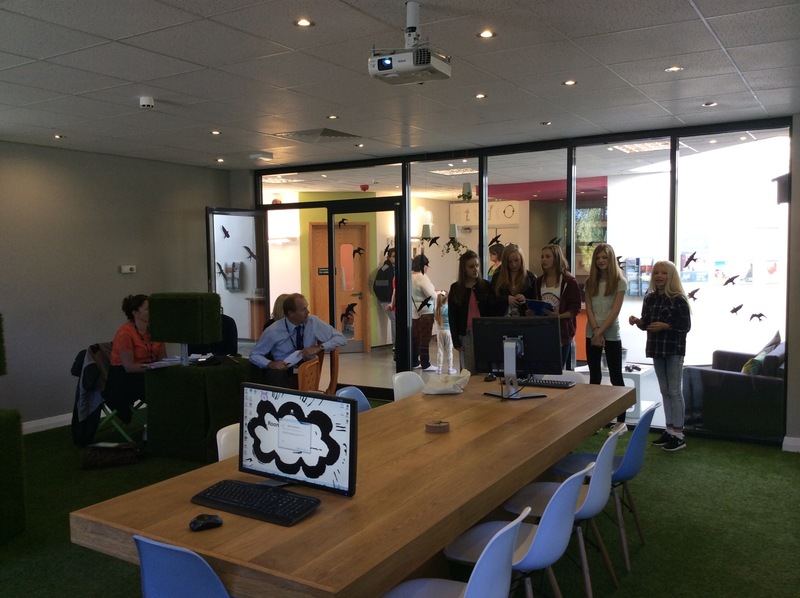 You can hear directly from the students using the space, some of the staff and how they feel in their role, plus interview questions from our ‘EngineHeads’. Today is the first day of our symposium and we were thrilled to host a visit from Patrick from Australia and Rachel and Sarah from Yorkshire. 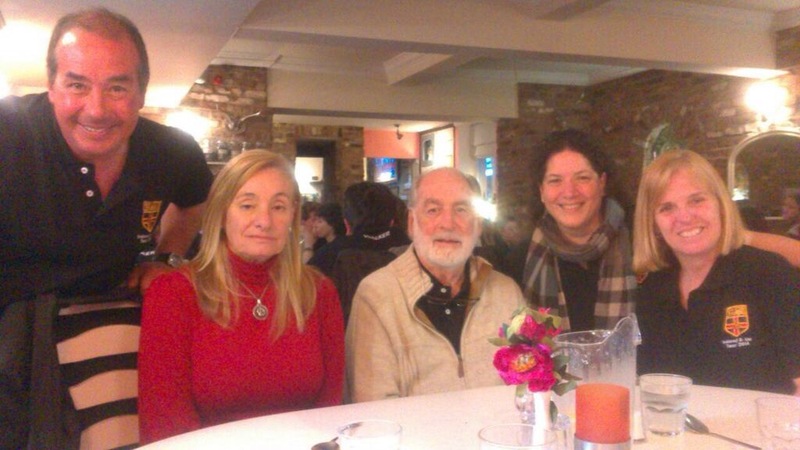 Our overarching question “how do you learn?” was examined over a spot of lunch with the EngineHeads. There was lots of interesting debate about learning and how we use SOLE. We have a series of events planned through September and October which encourage debate and opportunity to explore learning. 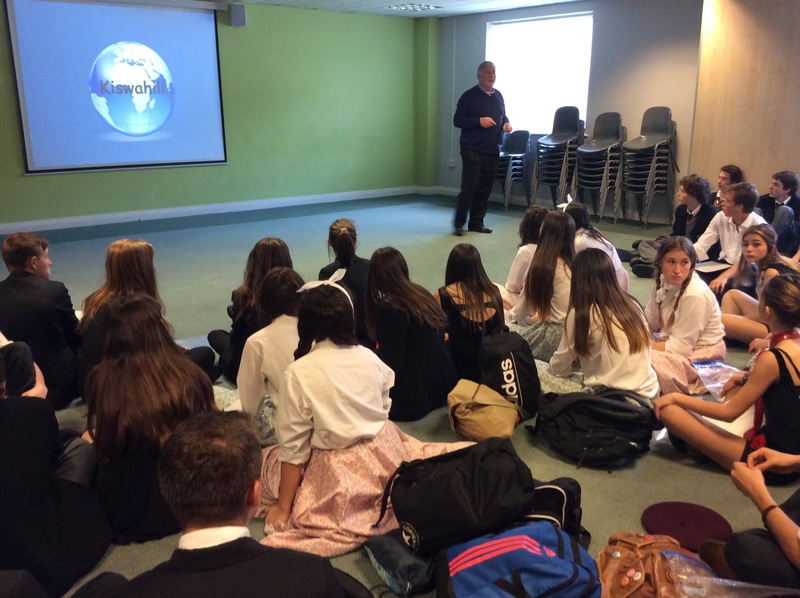 Today we took a global perspective through SOLEs. How does Geography help me understand my world? How is visiting somewhere different to going on a field trip somewhere? These were interesting sessions as the group and the teacher were new to Room13 and to SOLE so there was lots for everyone to get their head around. 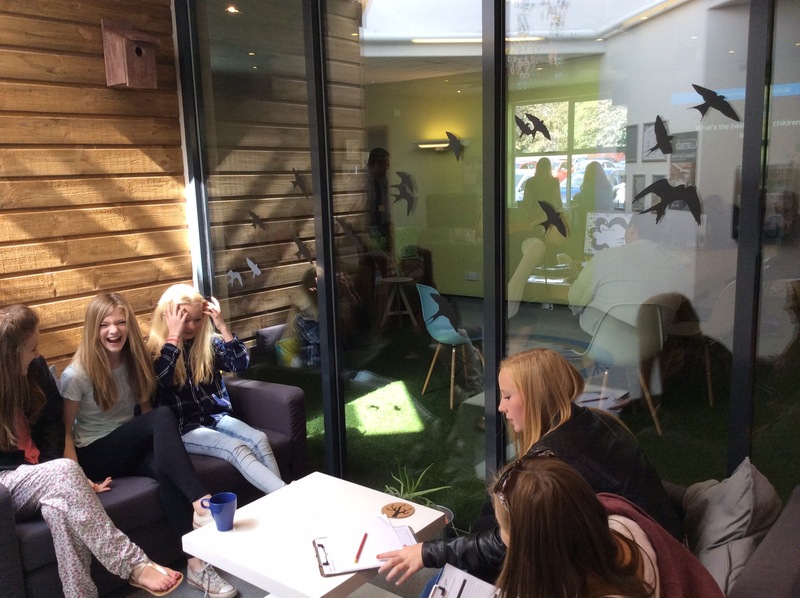 The groups seemed to enjoy organising themselves but seemed to struggle with the the idea of sharing ideas and information initially. Some referred to it as ‘cheating’. The groups touched upon interesting findings around maps, cultures, climate change, weather which will be interesting when explored further in their other lessons. Thank you to then EngineHeads, year 7 and 8 classes, to staff and to our lovely guests. We had a great day and have lots and lots to think about! Thank you. Ritu and I decided to do little experiment and set the young people in kalkaji school (7th graders and 8th graders), India and young people at Greenfield, UK (year 6 going into year 7) the same question and see what happens! We were inspired by this great TED talk that Sugata shared with us about the human brain. Ritu showed the video to her students and then set them away using the internet to answer the question. They then had a discussion about this (in Hindi) at the end to get a sense of what had been understood. The 3 groups described many physical features of the brain and how it works. 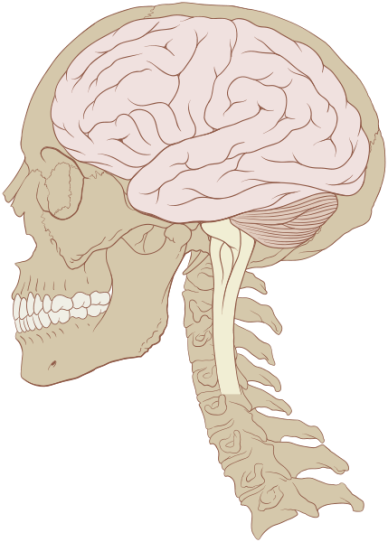 The brain is one of the largest and most complex organs in the human body. At Greenfield we decided to talk a little about how amazing humans are and how we may have different capacities to other animals. 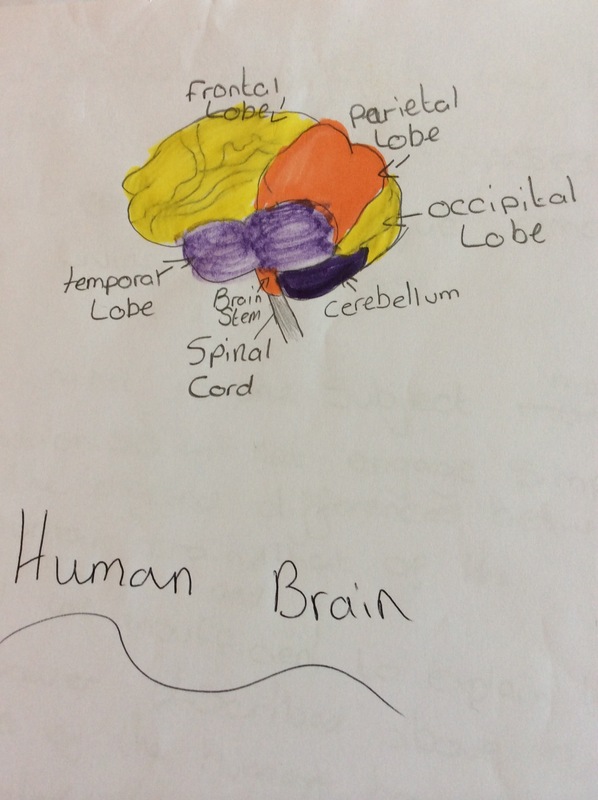 We asked the question “What makes our human brains different to others?” The group were left in Room 13 to decide how they wanted to work, which groups they would work in and how they wanted to explore the question. Some interesting discussions took place near the end of the session when we rejoined them for feedback. They talked about qualities that we have as living creatures and that there are lots of common things but we are special as humans ( i probed a bit for an example) they said that we understand things and maybe other animals don’t. They said we are the only creatures that have language and as humans we can see better and hear better. The other groups disagreed and 1 boy said “what about bats though?” “they use sound to move about.” Another boy said “yeah and dogs bark so they have a language”. The group then discussed that we all have different languages but we can’t always communicate with other animals. 3 boys said we have ‘cognitive abilities.’ They told us that our brains weight 3 lbs and that is heavy compared to the size of our bodies and monkeys brains weighed 1/3rd less but their bodies are just about the same as ours. (at the end of their presentation the group discussed the size of the brain comparing it to a bag of flour.) One girl asked, “if our brains are bigger does that mean we are cleverer?” the group said no. They thought that the brains all worked in different ways so it wasn’t about size. The boys said that we have language, self awareness and problem solving which makes our brains different. The group described what self awareness is and how they think that is the main difference. The boys talked about us evolving as humans and we are always learning things. They talked about diseases and disabilities that can affect our brains. 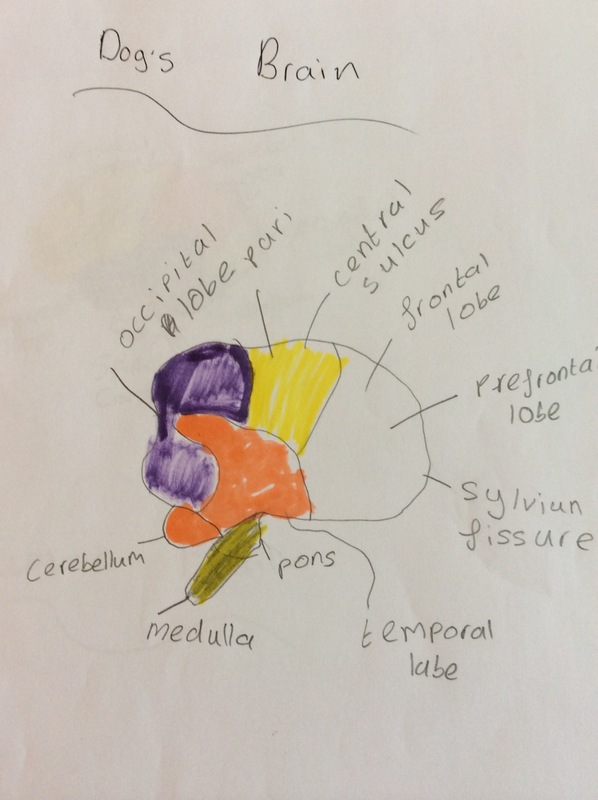 They showed us a picture of a dogs brain that they had drawn and a human brain they had drawn and pointed out 3 differences in the named parts of the brain. This was an interesting little experiment and Ritu and I are going to look closely at the similarities and differences of the two groups and share information. We are looking forward to doing more work together across the world and have so many SOLE big questions ready to ask! A guest post from the EngineHeads. Today we experienced being able to lead the teachers in a SOLEs session. We took the role of being the teacher and the teachers took the role of being the students. It was a good experience to see what the teachers would do and what they would do different. We asked the first group the question ‘why do bees buzz?’. We asked them to go into groups of their choice and find their own answer independently. They came up with a lot of different answers and they all had different ways of finding out answers to the question. We had a chat about the SOLE session with the group afterwards. 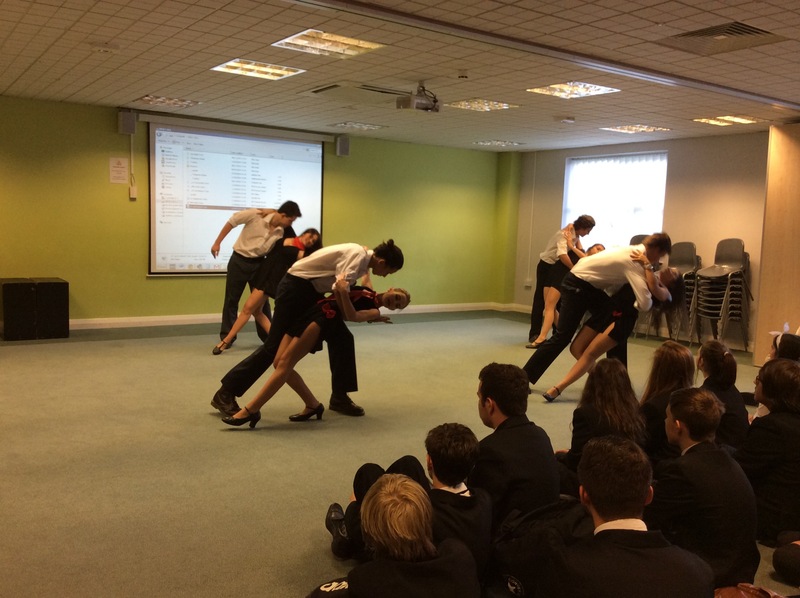 Some groups enjoyed speaking about what they found out, particularly one group which did a dance to demonstrate. It was interesting that no teachers moved groups, one teacher said they didn’t like the other teachers coming and looking at their work. 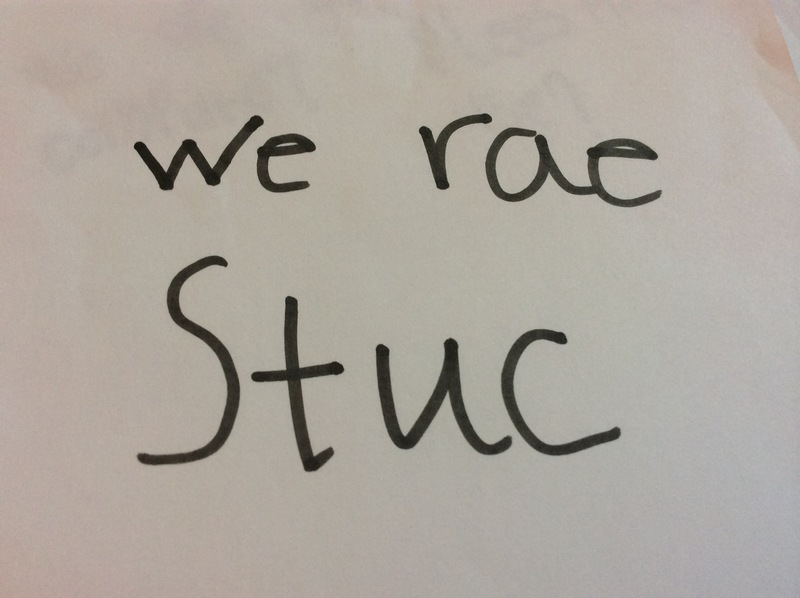 The teachers worried about the others in their group not joining in and we resolved this problem by saying they were free to change groups at any time they want and work with others which might help. Thanks to the EngineHeads for running these SOLE sessions. The sound of a bees buzz can change depending on their mood. 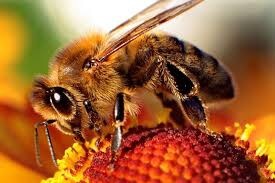 There are over 260 species of bees in U.K.
We need to be nice to bees as they pollinate our crops. We rely on them.